Slow cookers save time by allowing you to set up your meal in the morning, and not worry about it again until evening. Nearly anything can be cooked in a slow cooker, including many different complete vegetarian meals. Try one of these recipes to get a hot, delicious meal that's ready whenever you are. 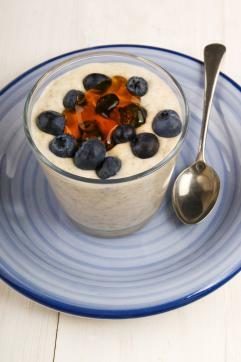 This recipe uses texturized vegetable protein to give it its texture, as well as an important source of protein. Most of the flavor in this dish comes from the vegetables and spices, so feel free to use a flavorless variety of TVP. Makes 8 - 10 servings. Stir well to combine and evenly distribute the spices. Set the slow cooker to low and cook for 6 to 8 hours, or set to high for 3 to 5 hours. Serve with sour cream and tortilla chips on the side. 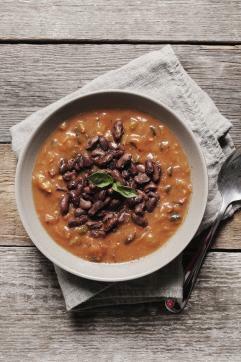 This meal relies on kidney beans for protein and fiber. It cooks relatively quickly compared to meat-based dishes in the slow cooker, but can simmer on low for several hours if necessary without compromising texture or flavor. The resulting dish has a stew-like consistency with a hearty texture and flavor. Makes 6 - 7 servings. Place all ingredients in the slow cooker and stir well to combine. Cook on low for a minimum of six hours - may cook on low for up to 12 hours without problem. Remove the bay leaf and stir well before serving. Place all the ingredients in a heat safe bowl that will fit inside your slow cooker. Place the bowl in the bottom of the slow cooker and fill the area surrounding the bowl with water up to approximately 1/2-inch from the bowl's rim. Set the cooker to low and allow it to cook undisturbed overnight. Use heat safe gloves or tongs to remove the bowl from the slow cooker; the water surrounding it will be very hot! 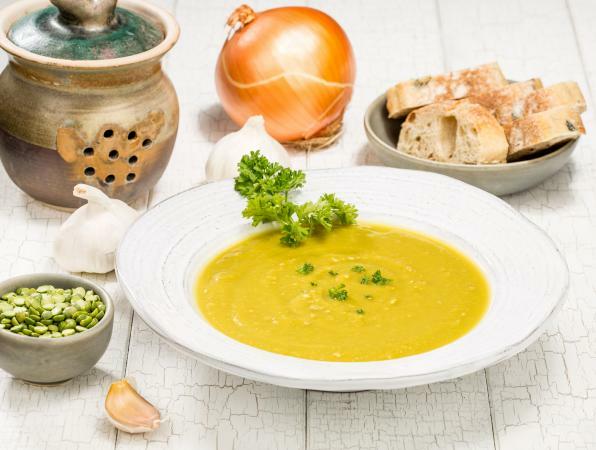 This thick, creamy split pea soup is vegan and is packed with protein and fiber from the dried peas. It can be fully cooked in about six hours, but can be left in the pot on low up to 12 hours with no difference in taste or texture. Makes 5 to 6 servings. Set the cooker to low and cook for a minimum of six hours. May cook up to 12 hours on low if necessary. Mash well while in the cooker with a potato masher to break up the larger pieces of potato and onion, or use an immersion blender to puree. This is a relatively quick recipe for the slow cooker; it cooks on low in about two hours. Serve the filling with your choice of tortillas and a salad on the side. Makes 6 - 8 servings. Place the first six ingredients in the slow cooker and stir well to combine. Cook on low for 2 - 3 hours, or until heated through. Ladle the mixture into the center of the tortillas and top with shredded cheese. Roll up the tortillas and serve with a side of fresh salad greens. Using the slow cooker can help open up your evenings, while providing you with delicious, one-dish meals. 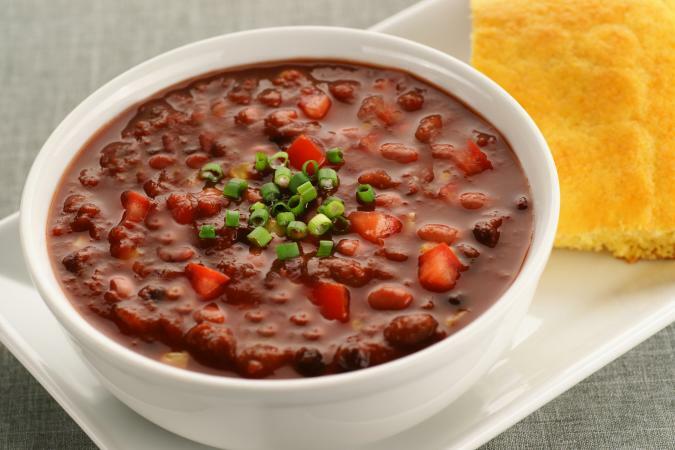 Try any of these vegetarian slow cooker recipes and enjoy good food.